If you love Korean cuisine, you've probably heard of or had Jajangmyeon. In Korea, these delicious hand-cut noodles are served hot with delicious Chinese-style black bean sauce. Usually, this dish is ordered from a restaurant, or delivered by motorized bike. Now, you can taste these delicious fusion flavors from the comfort of your own home. 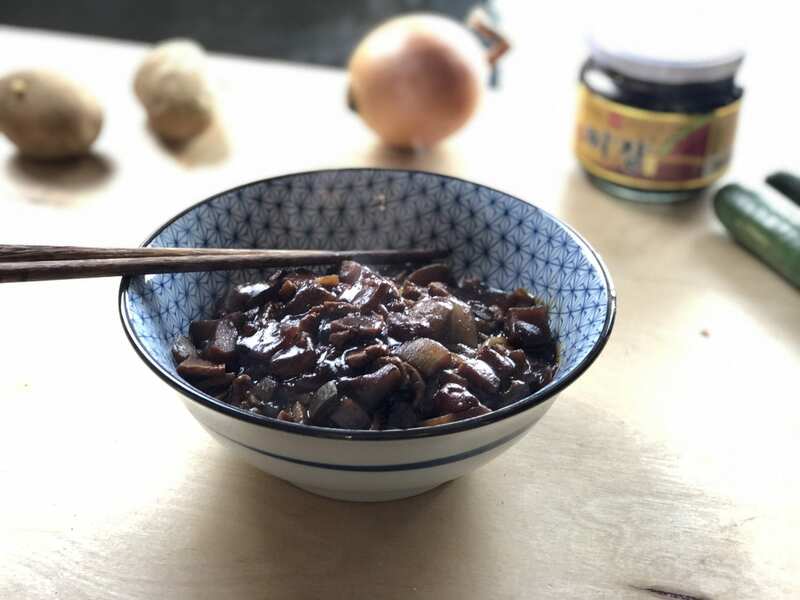 So, without further ado, here is the delicious recipe for Jajangmyeon. 1. 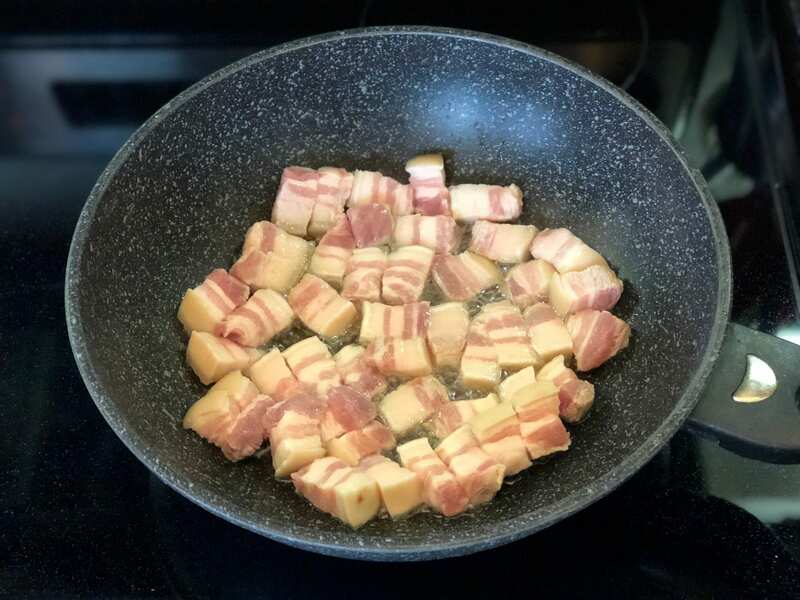 In a large wok, stir-fry cubed pork belly with 2 tablespoons of vegetable oil for about 6-7 minutes until the meat is browned and VERY crispy (the crispier, the better). 3. 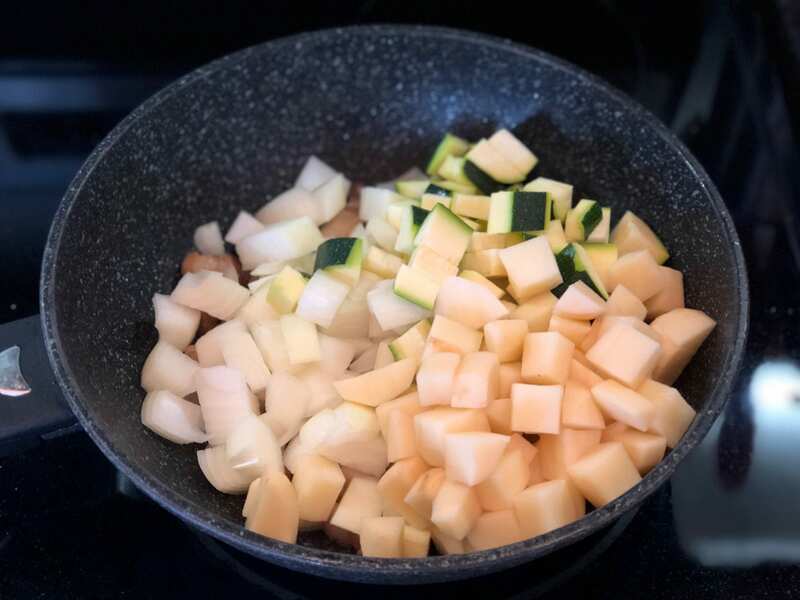 Add zucchini, potatoes, and onions and stir fry until the potatoes turn translucent, but not fully cooked. 4. Make a space in the center of the stir-fry (kind of like a donut). 5. Add the black bean sauce and start mixing it slowly, moving outward. 6. Add sesame oil on top of the black bean sauce and continue to mix and stirfry the sauce slowly. 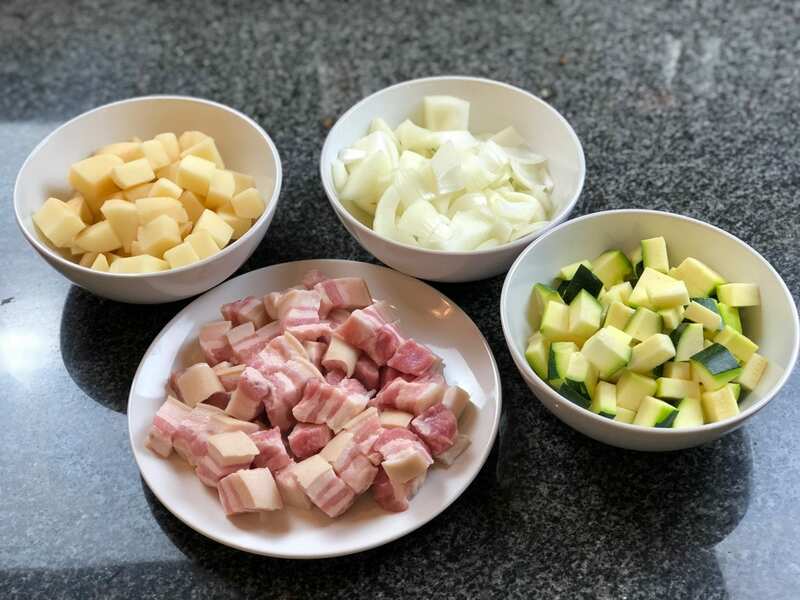 Then mix the sauce with the vegetables. 7. Once fully mixed in, add 2 cups of water and simmer for about 15 minutes with the cover on. 8. After the sauce has simmered, add your corn starch mixture slowly while stirring into the sauce. This should thicken the sauce to a smooth texture. 9. Pour sauce over cooked noodles or rice and enjoy! 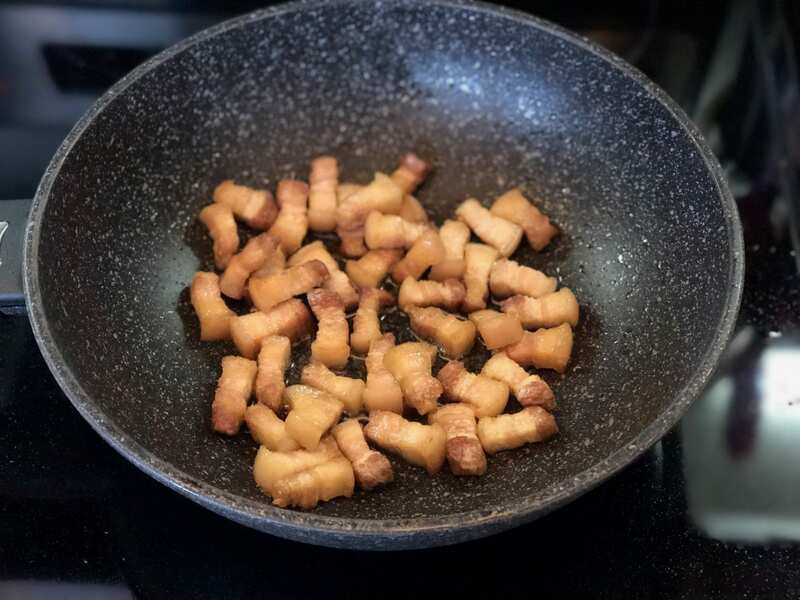 In a large wok, stir-fry cubed pork belly with 2 tablespoons of vegetable oil for about 6-7 minutes until the meat is browned and VERY crispy (the crispier, the better). Pour out excess fat and oil. 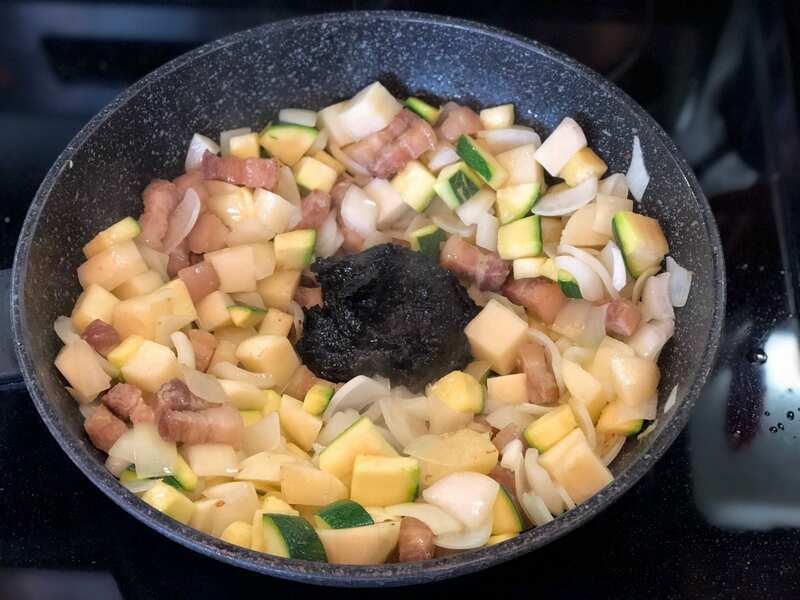 Add zucchini, potatoes, and onions and stir fry until the potatoes turn translucent, but not fully cooked. Make a space in the center of the stir-fry (kind of like a donut). Add the black bean sauce and start mixing it slowly, moving outward. 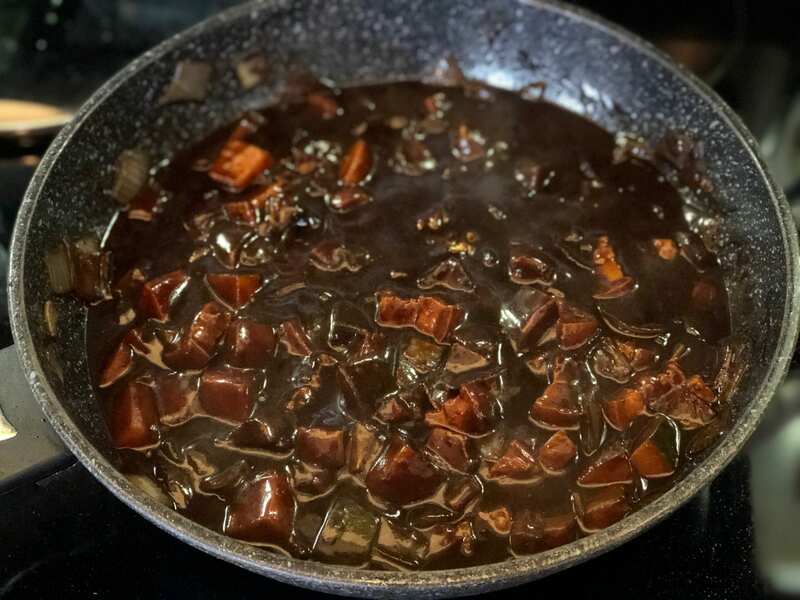 Add sesame oil on top of the black bean sauce and continue to mix and stirfry the sauce slowly. 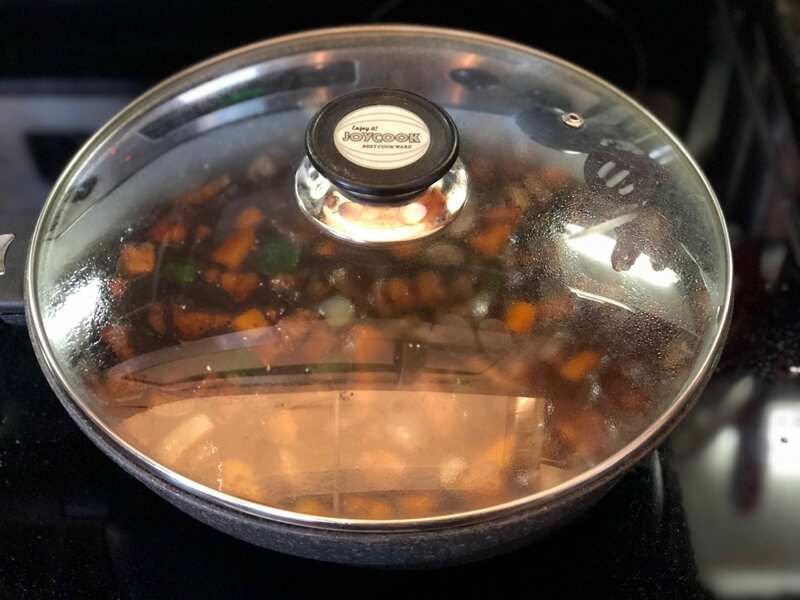 Then mix the sauce with the vegetables. Once fully mixed in, add 2 cups of water and simmer for about 15 minutes with the cover on. After the sauce has simmered, add your corn starch mixture slowly while stirring into the sauce. This should thicken the sauce to a smooth texture. Pour sauce over cooked noodles or rice and enjoy! Glamping in Malibu – #YurtLife!